A quiet start to the new month in very warm and calm conditions. Migrants on the ground were pretty scarce but included a Redstart, 16 Wheatears and a Spotted Flycatcher. Birds passing overhead included 200 Sand Martins, 95 Swallows, 27 Yellow Wagtails, three Grey Wagtails and a Tree Pipit. A Grey Seal and a few Porpoises were seen. Two Sickle-bearing Bush Crickets were seen at the usual site in the early afternoon. 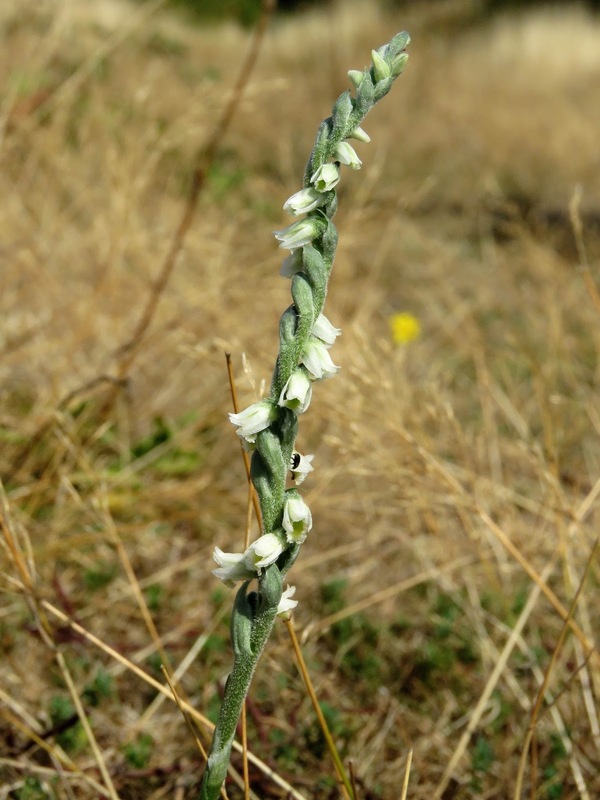 The small cluster of Autumn Lady's Tresses is already starting to burn off in the hot and dry weather but this plant is still in good condition.